This cold-pressed, unrefined hemp seed oil is a nutrient-rich moisturizer with a vibrant green color and a pleasant, nutty smell. It’s rejuvenating and works wonders for body, face, hands, feet, cuticles, and hair. It absorbs quickly, is not greasy, and especially good for dry skin. A small amount spreads easily over arms or legs. It is also noncomedogenic, meaning it won’t clog pores. To extend shelf life, store in the refrigerator. This pure, natural oil has no added chemicals. 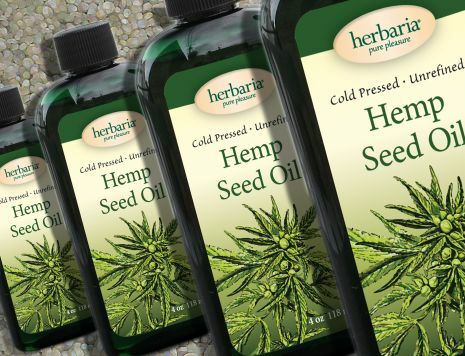 Extracted from the seeds, not the plant, hemp seed oil alone does not contain CBD or any other cannabinoids. We get inquiries about making a CBD soap. If we did, most of the oil would wash down the drain. CBD oil is taken internally for medical use. Deep green hemp seed oil is fast absorbing. Check out Hemp Seed Oil Soaps and Other Products. Each bottle of Hemp Seed Oil counts as 1 item toward our free bar offer.